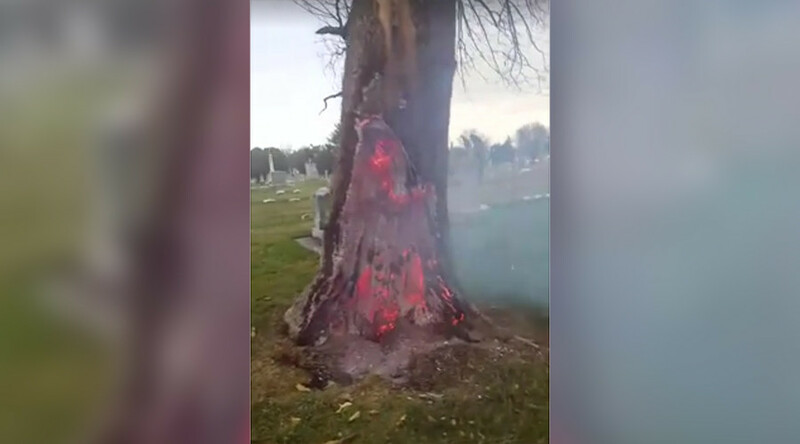 In a spooky scene fitting of its graveyard setting, a tree was recorded being consumed by fire from the inside out after a devastating lightning strike. Lightning setting trees alight is a common occurrence. What’s unusual in this instance is that the strike basically exploded the base of the tree and burnt it up from the inside out. Amazingly, the exterior of the tree appears intact despite the carnage wrought upon its innards. 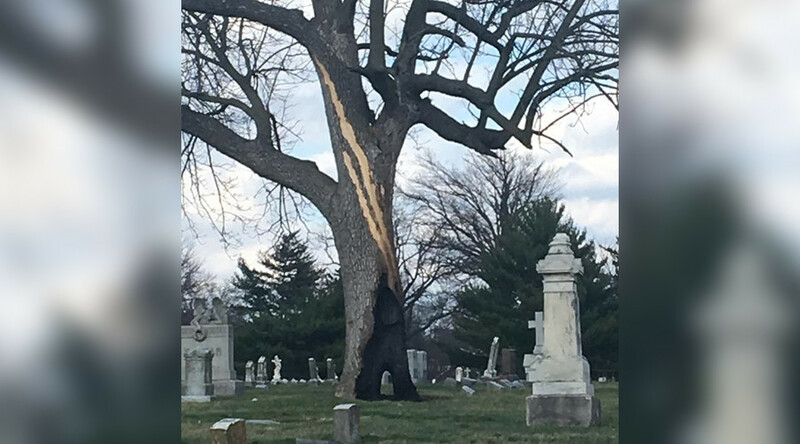 The tree stands in a graveyard in St Louis, Missouri, very close to the house of Jim Probst, who shot the video. A photograph taken by another local, Thelma Harper, shows the devastating effects of the strike: the hardwood bark bears thick, long scars where it was lashed by the lightning. The scene is reminiscent of that eerie tree in the hit Netflix show Stranger Things that drew characters into another, hellish, dimension. Why exactly the tree burned in this manner isn’t yet clear. “Had to be hit by lightning and it’s hollow and rotten all the way up. Burning like a chimney on fire,” speculated Lynn Niemeier on Facebook. We’d like to know – what do you think is going on with the burning tree?